In the late 1800s, espresso was created out of necessity. With the Italian coffee culture on the rise, local baristas were in need of a machine that could brew individual cups of coffee at a faster pace. Around this time, Angelo Moriondo patented a machine that used steam and boiling water to reduce brewing time down to mere seconds. In 1906, Desiderio Pavoni and Luigi Bezzera built on the idea, presented it at the world fair in Milan, and named it “caffe espresso”. Espresso means express, as well as made expressly for you. This new beverage changed the coffee scene and made it much easier for baristas to keep up with demand. In the 1960s, the espresso machine of today was invented by Carlo Ernesto Valente. 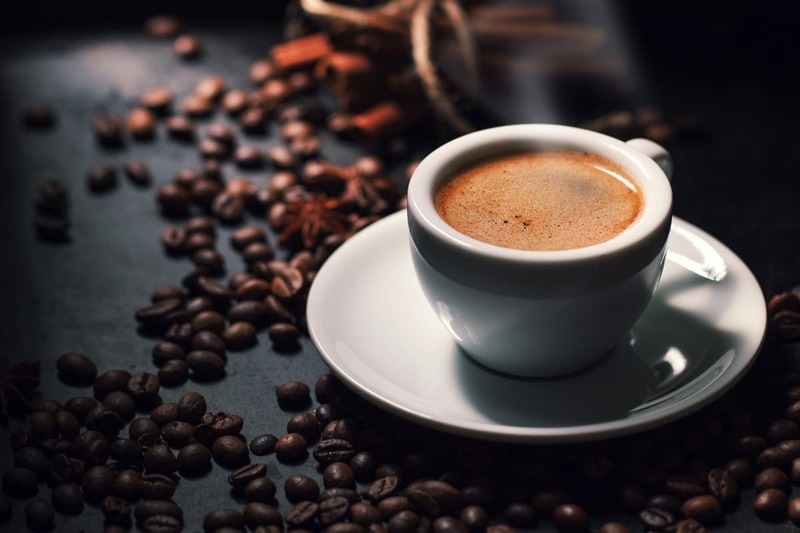 Nowadays, in addition to being taken as a shot, espresso is used as the base for a variety of popular coffee beverages around the world, including cappuccinos, lattes, and americanos. What’s the Difference Between Coffee and Espresso? Although they both come from coffee beans, there are many differences between the two. Espresso, unlike drip coffee, is made by using around 15 atmospheres of pressure to push a small amount of boiling water through finely-ground coffee beans. The coffee beans used are ground to a much finer consistency than for traditional coffee. The final drink is also thicker and, if done right, contains a thin layer of foam on top. The key to making a smooth and delicious shot of espresso begins with using high-quality water. A strong aftertaste or added minerals can heavily affect the flavor and quality. Use filtered or bottled water to ensure the best outcome. It’s recommended that you use table salt-sized coffee grounds, which are the ideal size for allowing water to flow through and ending up with maximum flavor in your final product. A double shot, which is considered the normal serving size, generally requires 18-21 grams of finely-ground coffee beans. Next, pack the coffee grounds into the portafilter using a tamper and lock it into the machine. 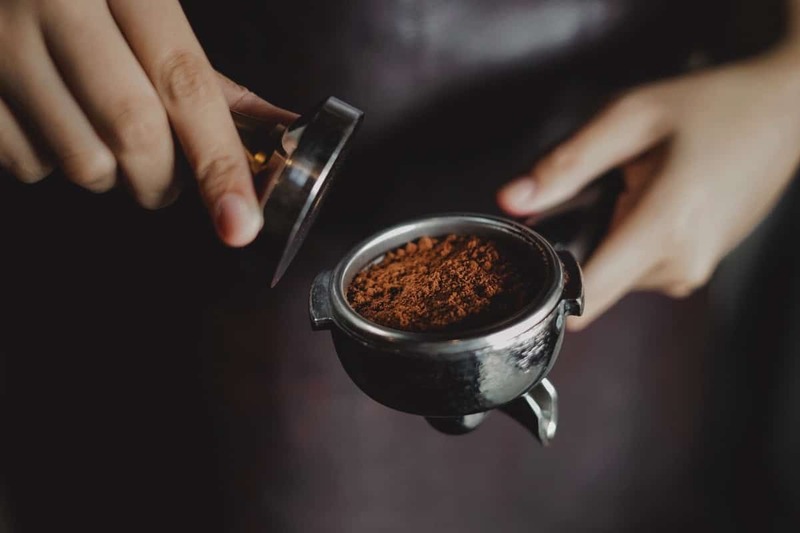 Using a tamper ensures that the grounds are packed evenly and restricts the flow of water in a way that requires the water to interact with the coffee grounds. Once you begin the process, the water should heat to between 195 and 205 degrees Fahrenheit (90.5 to 96 degrees Celsius). Within 30 seconds, a bold shot of espresso should be waiting for you. The portafilter is considered by many people to be the most important factor to successfully brewing espresso. Don’t ask for an espresso “to-go” in Italy. It’s viewed as a social activity and “to-go” cups are essentially non-existent in cafés. In Italy, it’s more common to drink espresso while standing at the bar rather than while sitting at a table. Espresso should be drunk fast and while the crema, that creamy cover made up of the coffee’s oils which keeps all the aromas in, is still on top. If yours is missing its crema than it has either been sitting around too long or is decaf. Latte means milk in Italian, meaning you’ll likely get a glass of milk if that’s what you order in Italy. When included in a milky beverage, espresso is generally enjoyed alongside a breakfast such as bagels or croissants rather than in the afternoon. Espresso is traditionally served with water (americano) or milk (latte or cappuccino). In some parts of the world, it’s also becoming popular to enjoy it with hot or cold chai tea, often referred to as a dirty chai. In most parts of the world, it’s common to consume espresso or an espresso-based beverage both with or without sugar. In some areas, it’s also common to add toppings like cinnamon and cocoa. In the United States, National Espresso Day is celebrated on November 23rd. Astronauts can even enjoy espresso on the International Space Station. Since espresso is such an important aspect of daily life in Italy, it’s regulated by their national government. Have you had an espresso? Brittany is a long-term solo traveler who bought a one-way ticket to Colombia and never left. She loves meeting dogs from all over the world and considers herself to be an “expert” wine taster. One Response to "How to Drink: Espresso"